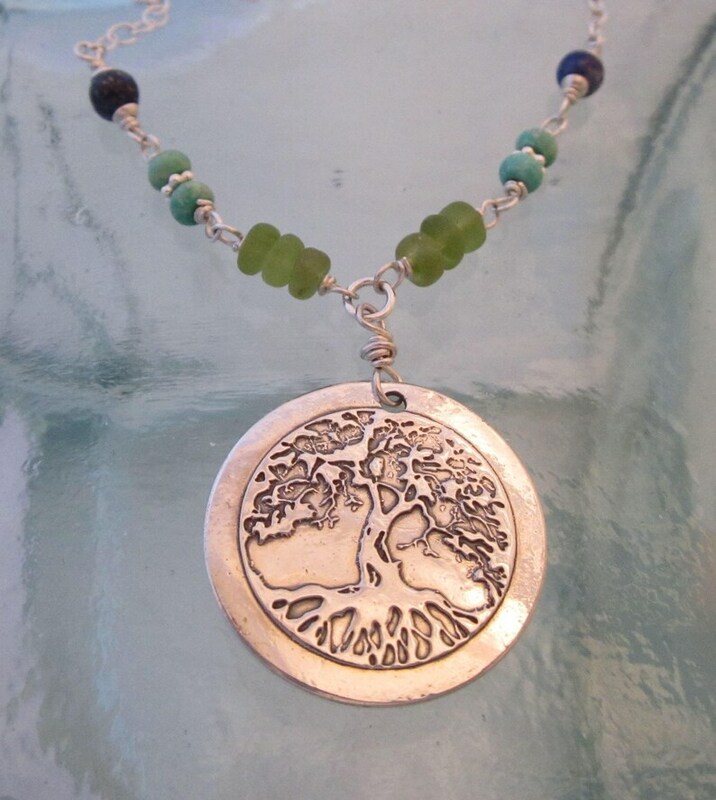 This handcrafted necklace features a tree of life design I created in .999 fine silver. It is approx 1 1/16" in diameter and hangs a little over 1 1/4" from the top of the sterling wire wrapped bale to the bottom of the pendant. 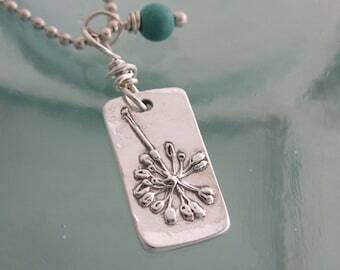 I added a patina finish to the pendant to enhance the details of the design and polished it to a warm shine. The pendant is fixed (stationary, it does not move freely) to the center of the necklace and hangs between 3 stations of wire wrapped gemstones (frosted peridot, turquoise, and lapis) before transitioning to .925 sterling cable chain. 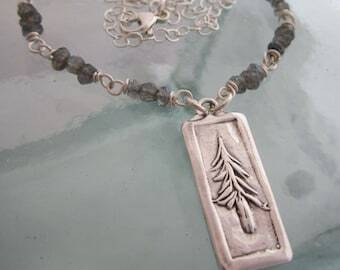 The necklace is about 19" (with the pendant hanging down an additional 1 1/4"), but may be worn shorter by hooking the lobster clasp into any of the chain links.